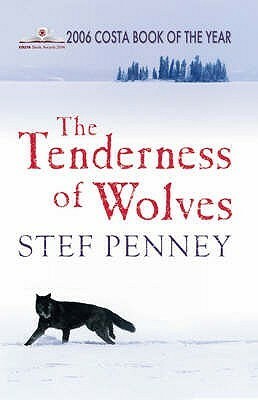 The Tenderness of Wolves by Stef Penney, set in Canada in 1867. A man has been brutally murdered, a woman finds his body and her seventeen-year-old son has disappeared. She has to clear his name, heading north into the forest and the desolate landscape that lies beyond it, Also tracking him is what passes for the law in this frontier land: trappers, sheriffs, traders. As the party pushes further from civilisation, hidden purposes and old obsessions are revealed. I’m not enjoying it so far as much as I hoped, or expected. It may be because I can’t get the characters clear in my head and have to keep turning back the pages to identify them. I’m also reading a rather strange book, The Daffodil Affair by Michael Innes, one of his Inspector John Appleby mysteries. It’s not at all what I expected but I am enjoying it. Set in the Blitz there’s a haunted house that has vanished, a horse, called Daffodil that has been stolen and two girls have been kidnapped. Appleby and another detective, Hudspith investigate. It is bizarre with elements of the absurd. The last book I finished is The Good Liar by Catherine McKenzie. An explosion rips apart a Chicago building, the lives of three women are forever altered. Cecily whose husband and best friend were inside the building. Kate, who fled the disaster and is hoping that her past won’t catch up with her, and Franny, a young woman in search of her birth mother, who she says was also in the building. The story is told through each woman’s perspective. They all have secrets – but who is the liar? I’ll post my review soon. I have so many books I want to read next, but right now I can’t decide. 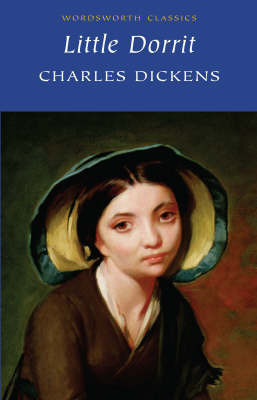 I really should start Little Dorrit, my Classics Club spin book soon. It was originally published in nineteen monthly instalments, each consisting of 32 pages and I can’t imagine being a reader in 1855 keeping track of a story in monthly instalments over 2 years! I hope it won’t take me that long. When Arthur Clennam returns to England after many years abroad, he takes a kindly interest in Amy Dorrit, his mother’s seamstress, and in the affairs of Amy’s father, William Dorrit, a man of shabby grandeur, long imprisoned for debt in Marshalsea prison. As Arthur soon discovers, the dark shadow of the prison stretches far beyond its walls to affect the lives of many, from the kindly Mr Panks, the reluctant rent-collector of Bleeding Heart Yard, and the tipsily garrulous Flora Finching, to Merdle, an unscrupulous financier, and the bureaucratic Barnacles in the Circumlocution Office. A masterly evocation of the state and psychology of imprisonment, “Little Dorrit” is one of the supreme works of Dickens’s maturity. I’m sorry to hear you’re not enjoying the Penney more, Margaret. I’d heard that was a good one. I’ll be interested in whether it gets better for you as you go on. Thanks, Margot. I think it’s mainly that I’m not spending enough time reading it at the moment. I shall concentrate on it soon. 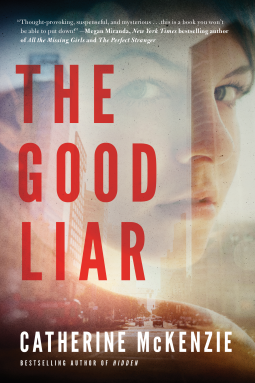 I have The Good Liar on my TBR to read. The author is one that I’ve sampled before and liked. And I need to begin my classics book too, but I’m busy with our mystery group’s ‘Sherlock’ month right now. Hopefully before long. Kay, I haven’t read any other books by Catherine McKenzie – I’d like too. The Good Liar is very readable. I have The Good Liar…and hope to start reading it soon. I love the author! Laurel, I hope you enjoy it too. I hope Little Dorrit doesn’t take you two years to finish as the deadline for reading is the end of April!! I do like the sound of The Good Liar too! Thanks, Cleo – I have a feeling I won’t make the April deadline, but two years … doesn’t bear thinking about! Thanks, Sandra – I’m pleased I’m not the only one to struggle and that I’ll soon settle into Wolves. 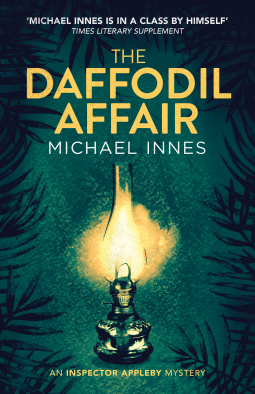 I have a copy of The Daffodil Affair which I haven’t read yet, but I’ve enjoyed some of Innes’ other mysteries so I’m looking forward to it despite the strangeness! Helen, Michael Innes’ mysteries are so different from modern crime fiction – but I do like his change of pace and writing style. Ah, I had my eye on the Stef Penney book – so perhaps I will wait for you to finish it and tell me what you think. I’ll do my best, Marina! Little Dorrit is one of my favourite Dickens so I hope you find it an easier read than you’re anticipating. There are some great, eccentric characters in it, a boo hiss villain and one of Dickens’ great satirical creations, the Circumlocution Office. Thanks, Cathy! I really must start it very soon – it sounds great.